J Brett is one of London’s leading antique furniture restorers with considerable experience in restoring all types of English and Continental furniture, particularly 18th and 19th century, Art Deco and Biedermeier. We have been in business since 1952 and our clients include embassies, auction houses, antique dealers, interior designers as well as many private customers. We're a member of the Guild of Master Craftsmen. Why choose a Guild Member? 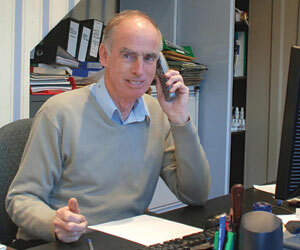 Alan started out at A J Brett dealing with general management and sales development. He enjoys working in a business which restores antique and modern furniture to their former beauty thereby giving pleasure to their owners. When the opportunity arose, he decided to buy the company. 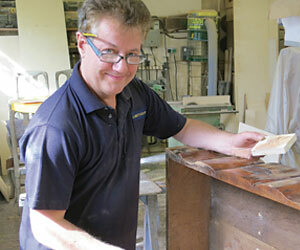 Rutherford has over 30 years experience as a cabinet maker specialising in antique furniture restoration. 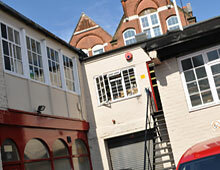 He has gained his experience in several restoration companies both in London and in the home counties and has been at A J Brett since 2003 where he uses his skills to undertake very difficult restoration projects. 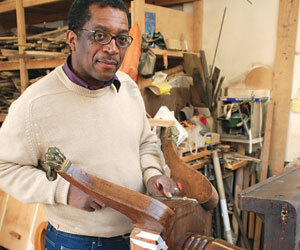 George served his apprenticeship as a cabinet maker with Heals and has been working at A J Brett for over 30 years. He is a very experienced restorer and also has the amazing skill of being able to make perfect copies of pieces of furniture by eye. Jackie joined AJ Brett in 2013 and has considerable experience in antique furniture restoration both as a cabinet maker and polisher. She specialises in more intricate work and has already shown us that her skills in this area of restoration are extremely valuable to the company. Aron joined AJ Brett in November 2017. He is an experienced delivery driver. He is putting his organisational skills to good use to sort out our large storage area at the same time as learning about the furniture restoration business. 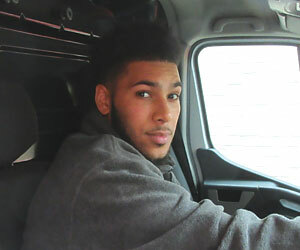 Riccardo joined AJ Brett in August 2014. 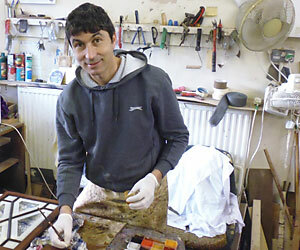 He was trained in gilding and antique furniture restoration in Italy. He has extensive experience working in churches and in preserving the historical integrity of antique furniture and gilded sculpture. He ran his own workshop and has also worked in the USA. Aaron joined A J Brett in April 2016 and has quickly become an invaluable member of our team. 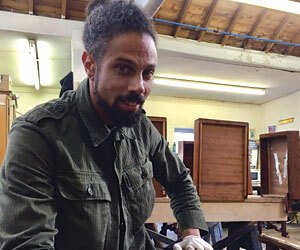 Aaron has previously worked in Savile Row and as a carpenter erecting large display stands. He is putting his excellent customer service skills to good use and has shown himself to be a valuable asset in both the cabinet shop and the polishing shop. 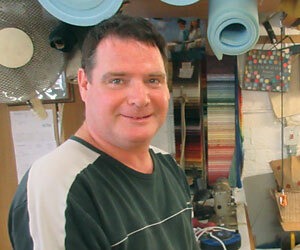 Brendan has over 30 years' experience in traditional and modern upholstery. He has extensive expertise in the reupholstery of leather armchairs and Chesterfields and 20th century Scandinavian furniture. Brendan can revive the finish of faded leather and can make cushions to any style. 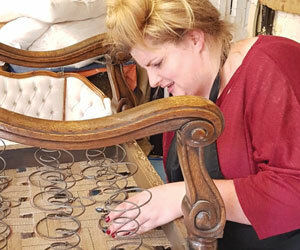 Anna has City & Guilds qualification from London Metropolitan University and has enhanced her knowledge of traditional upholstery (including hand stuffing and stitching) by attending many short courses. 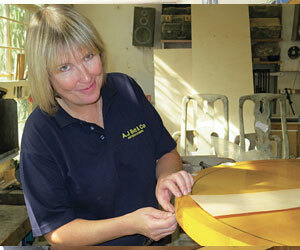 She has over 10 years’ experience in the upholstery trade.